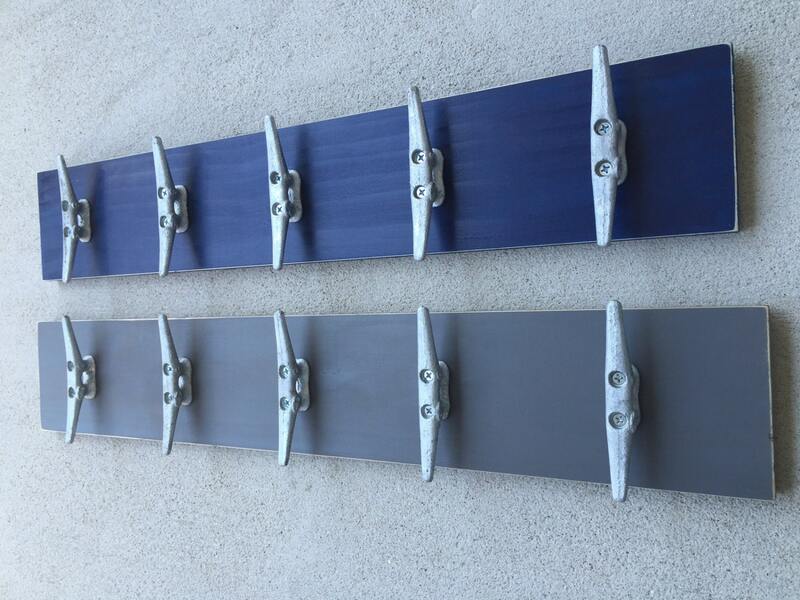 This outdoor towel rack with boat cleat hooks is not just for the beach- we sell lots of these as lake house décor all over the US. 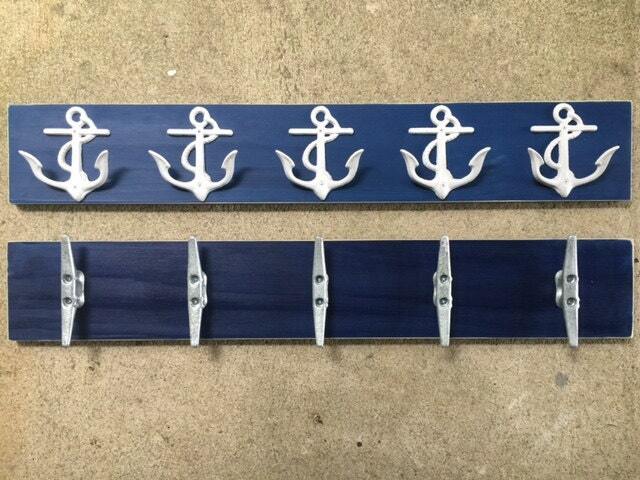 These 5 boat cleats will be mounted on a board in a color you choose-as shown in navy, gray and RED. 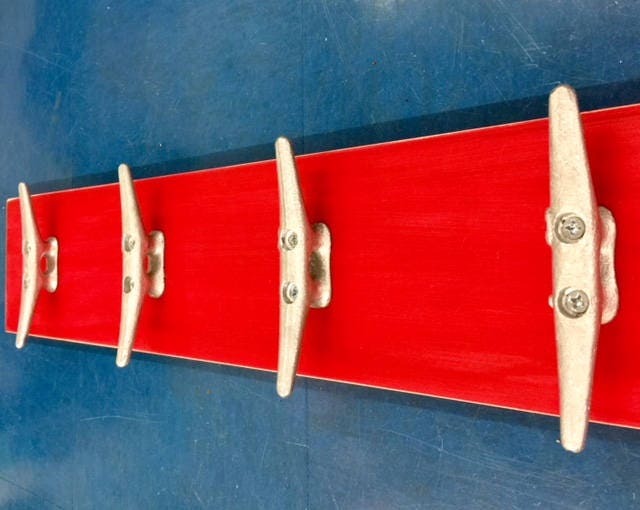 See separate listings show this same style board with 3 boat cleats on painted board, 3 on barn wood, or 4 on painted wood or 4 on barn wood. 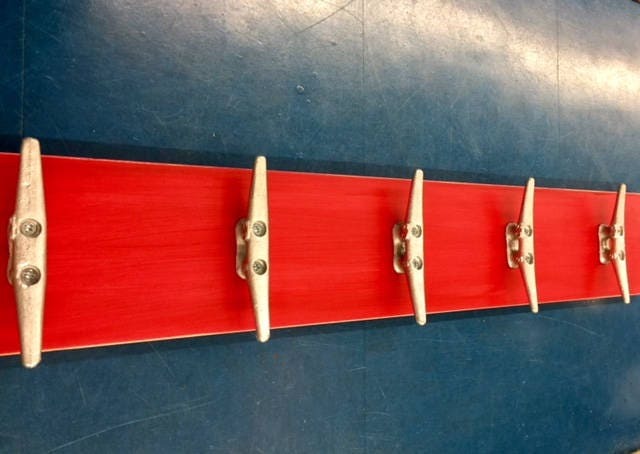 This listing, our most popular for the cleats, is for FIVE CLEATs on a long painted BOARD. If you are a contractor, designer, or decorator, we would love to work with you; we've been honored to work with several local and out of state designers. 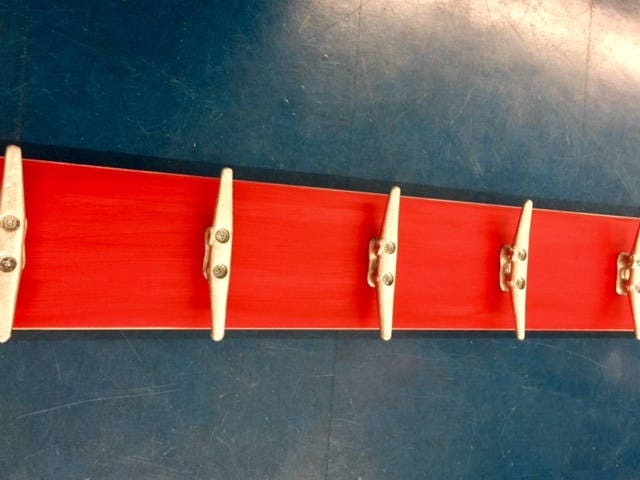 Contact us about purchasing multiple towel racks, like these or one of our other designs, with a professional discount. 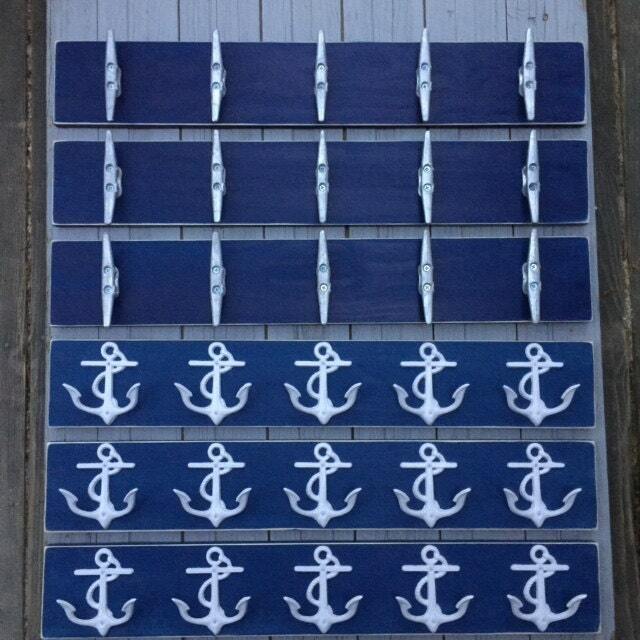 These were inspired by our friend who took us sailing, and we were "hooked", so when a customer who sails, asked us if we would add these to the line of over a dozen nautical beach hooks we carry, we started painting these for the shop, and offering towel racks like this one. These are available just in time for spring redecorating, getting your vacation home ready for summer living at the lake, beach, or on the river! 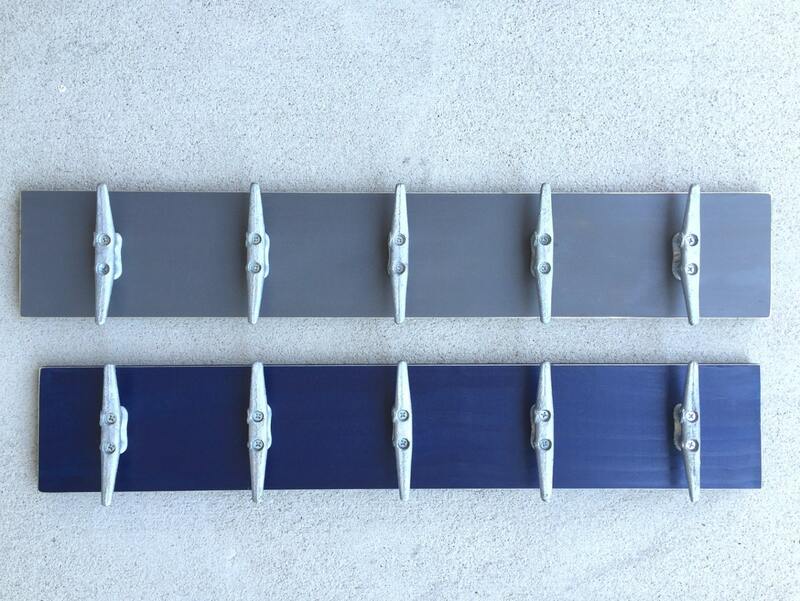 Please let me know your board color choice-the 5 boat cleats will be in the silver color, which is actually galvanized steel, shown. These will be carefully packaged and sent priority mail or UPS ground~ please allow us 10 business days to get your order finished before shipping, because of the layers of paint, drying time, and distressing. 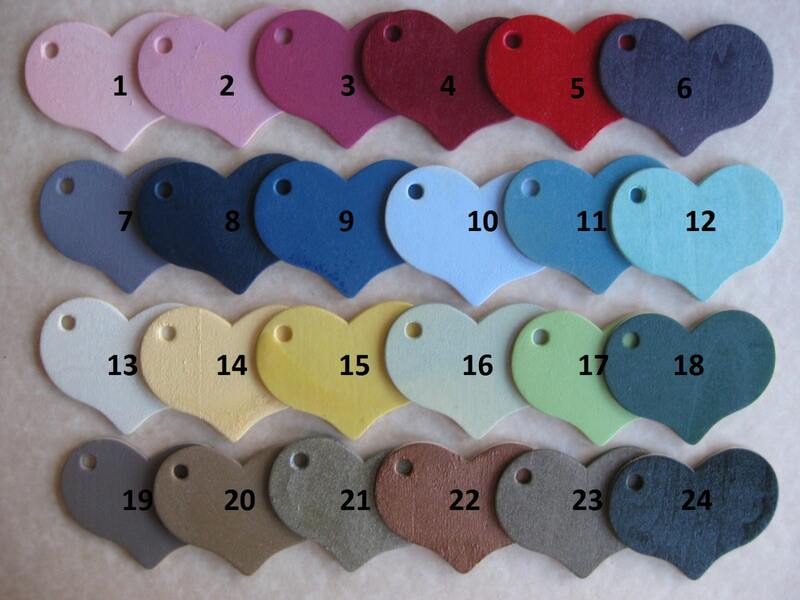 Don't forget: Put the color of the board you want in "Notes to seller"~thanks! Love this so much! Got as a gift for my mom’s lake house! She loved I️t!